Today’s operators are faced with the challenges of meeting ever stricter timing demands and synchronizing a rapidly growing number of 5G and IoT devices. They urgently need new solutions that provide frequency and phase synchronization at scale, combining timing delivery technologies in a highly synergistic way. Our OSA 5440 provides the perfect solution. Offering unique GNSS receiver technology with next-generation synchronization capabilities, together with full hardware redundancy and a scalable modular design, it packs in all the features of the OSA 5430 but with the addition of unparalleled fan-out options for ultimate scalability. 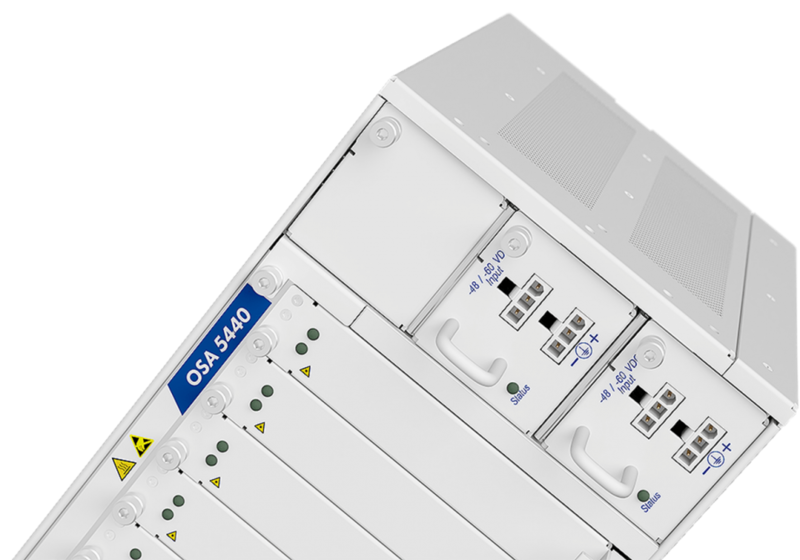 With the capacity to support multiple line cards, our OSA 5440 is 5G-ready and able to incorporate new technologies as they evolve. Our OSA 5440 is the ultimate future-proof solution able to provide that crucial link between legacy and emerging technologies such as LTE-A and 5G. Utilizing our dual multi-GNSS receiver, the OSA 5440 offers unprecedented accuracy and availability. Our OSA 5440 is a highly advanced, flexible and cost-effective synchronization solution optimized for deployment in metro and core networks. Multiple GNSS technologies ensure unbeatable availability even under environmentally challenging conditions. Able to function as a grandmaster, boundary or slave clock, our OSA 5440 meets ITU standards for enhanced primary reference time clocks. It also combines with our outstandingly accurate and stable cesium clocks for autonomous, ultra-precise ePRTC timing even during long periods of GNSS unavailability. With multiple legacy and next-generation fan-out options, our OSA 5440 is ideal for deployment in legacy synchronization architectures as well as packet-based networks. It provides space for 10 line cards and can support PTP, NTP, and SyncE over 48 Ethernet ports, delivering unrivaled line rates of up to 10Gbit/s. 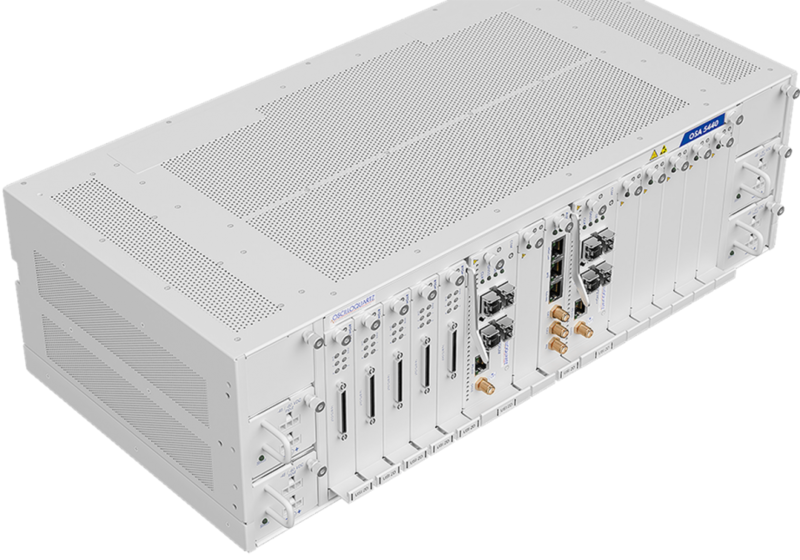 Thanks to its adaptability and modular architecture, our OSA 5440 is the ultimate future-proof solution able to provide that crucial link between legacy and emerging technologies such as LTE-A and 5G.